Should You Be Drinking Liquids with Your Meals? By this point, you should have no doubts about how great water is for your body. But could there be a time when you shouldn’t drink it? Sounds like the makings of a great investigation. Today, let’s find out if you should really be drinking liquids with your meals. If we’re going to get to the bottom of how liquids might affect digestion, we’ll first need to take a crash course in the normal digestive process. Digestion begins with chewing. 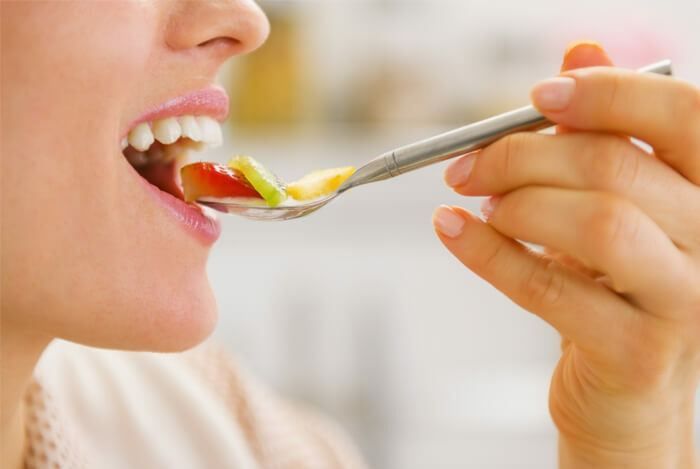 As soon as you start to chew, your salivary glands produce saliva, which contains enzymes that break down your food. Saliva also softens your food, which enables smooth travel for your food down your esophagus and into your stomach. Inside your stomach, food is mixed with gastric fluids, an acid that breaks it down further to produce a thick liquid called chyme. Chyme is then mixed with digestive enzymes from the pancreas and bile acid from the liver once it travels to the small intestine. This whole process serves to prepare the nutrients in your food for absorption into your bloodstream. Once inside the bloodstream, nutrients are distributed throughout the body. The digestion process ends when the leftovers leave your body. And if you haven’t been drinking enough water, you may suffer from constipation that will… prolong the digestion process. Here are the three arguments you’re most likely to run into when someone claims that liquids are bad for your digestion – and why they’re totally wrong. People rallying against drinking liquids with your meals have argued that drinking alcoholic or generally acidic drinks actually dries up saliva, which makes it more difficult for the body to digest food. There is a hint of truth to this. Alcohol decreases the flow of saliva by 10 to 15 percent per unit of alcohol. This mainly refers to hard liquors, though, and not the alcohol contents of liquids like beer and wine. But as this is only a minor change in saliva output – and hard to reach unless you’re eating your meal with a bottle of vodka – you don’t have anything to worry about. And acidic drinks, on the other hand, may actually increase the secretion of saliva. This argument is based on the idea that when you drink water, the stomach acid becomes too weak to break down your foods. This would imply that the human digestive system was unable to change its secretions based on the consistency of each meal. And that’s patently false. Drinking water in reasonable amounts with your meals does not dilute stomach acid and digestive enzymes. 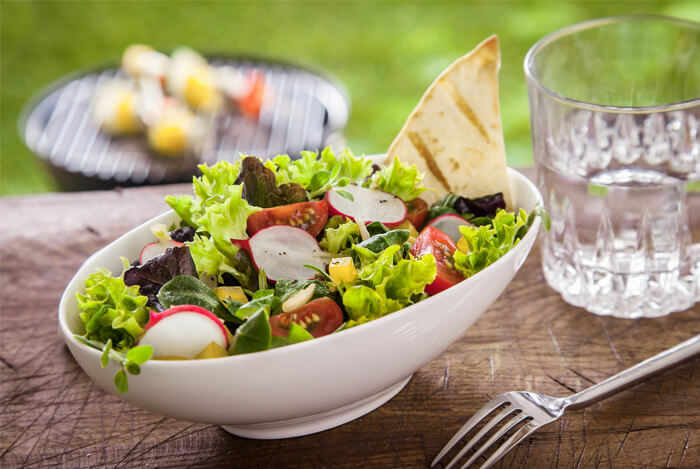 The idea is that fluids increase the speed at which solid foods leave the stomach, which reduces the meal’s contact time with stomach acid and digestive enzymes. However, a study analyzing the stomach’s emptying speed found that while liquids do pass through the digestive system faster than solids, they have no effect on the digestion speed of solids. 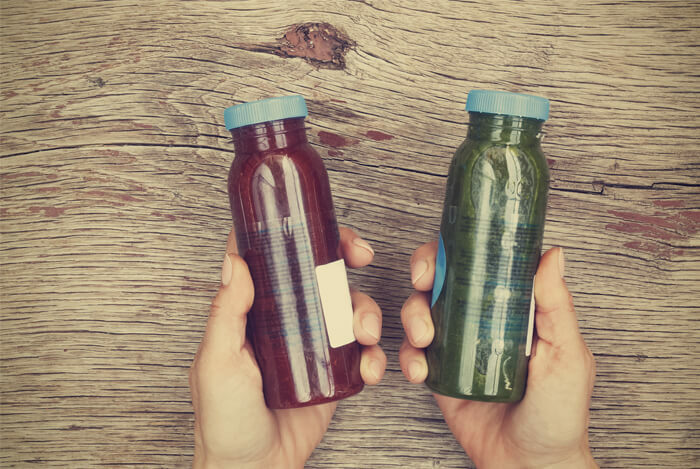 Liquids actually aid in digestion in quite a few ways. First of all, liquids make swallowing dry or tough foods much easier. Liquids can help break down larger chunks of food, which makes it easier for them to travel through the digestive tract. 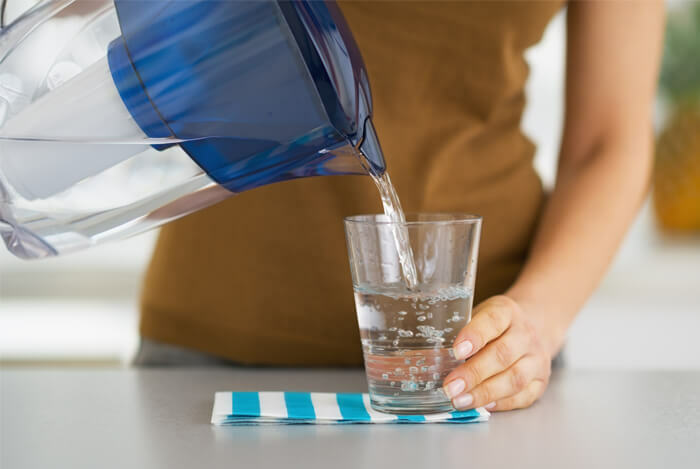 Liquids – particularly water – act as a natural lubricant for your intestinal walls and can push food along smoothly, which prevents bloating and constipation. On top of all this, your stomach actually secretes water along with gastric acid and other digestive enzymes. Without water, these enzymes would not function properly. In other words, liquids – water, specifically – are necessary for proper digestion and should be consumed with your meals. But improving digestion isn’t all water can do for your body when you pair it with your meals. It simply wouldn’t make any sense if our bodies had evolved to perform poorly when liquids were used to wash down solid foods. Liquids are a part of your diet that should not be forgotten – especially during mealtimes. What’s your take on drinking water with meals? Have anything else you’d like to share? Let me know in the comments below!